Mirio Cosottini (trumpet), Andrea Melani (drums), Tonino Miano (piano), Alessio Pisani (bassoon, contrabassoon). GriMedia 004/Impressus 004, 2009 (CD) Recording and mastering: Walter Neri. Recorded in Montevarchi (Italy) , July 2009. Directives emanate from a fixed point. Cardinal is a project, like many of those relying on improvisation, that was accomplished in a three-day studio meeting. The participating individuals had previously collaborated on separate projects – (Cosottini-Miano had produced “The Curvature of Pace”, Impressus-GRIM 2007, and Cosottini-Melani-Pisani where part of the EAQuartet Electroacoustic Quartet, GRIM 2007) – but never before in this fashion. 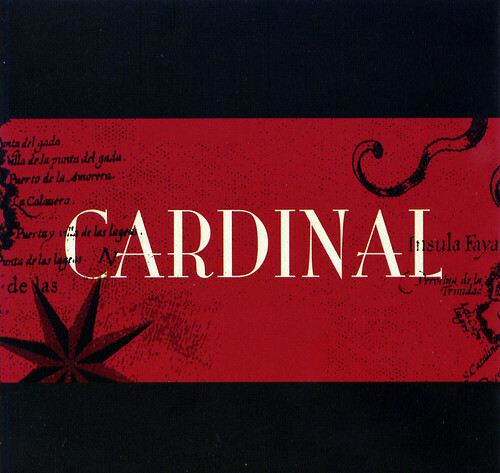 The title, in reference to the four cardinal points, was chosen to reflect a multidirectional sound, and thus the choice of a map as the cover for the album. Moreover, most compositions make use of graphic scores, some of them needing a “open” reading approach. One of them is, for instance, a labyrinth, therefore enhancing the game-like character of the experience and disengaging the performer in terms of “wanting” to go in a specific direction. Another has its theme played in retrograde at the closing, suggesting that moving forward from the point of origin can lead toward it, and so on. 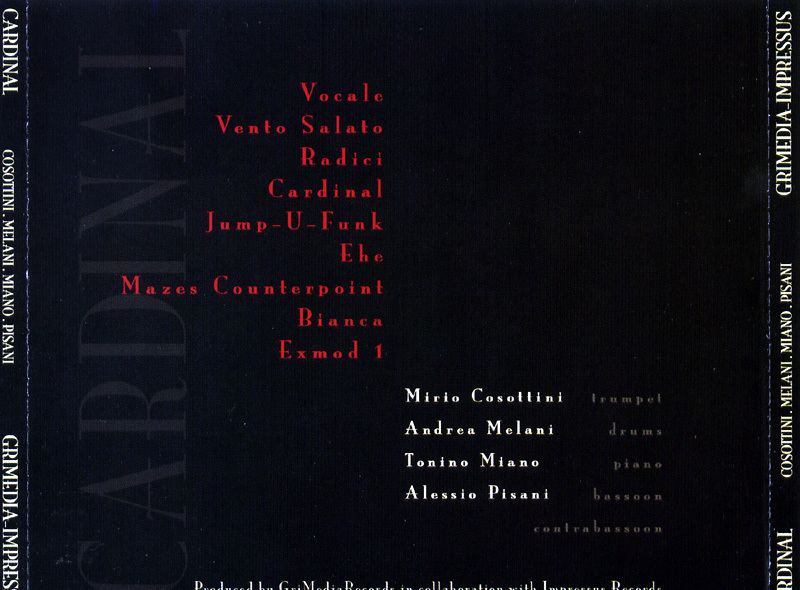 The band’s name comes from the four “cardinal points”, (and not the senior ecclesiastical official of the catholic church). It was chosen to reflect a multi-directional sound, a kind of geography in which the way has to be found, in which no roads are available, it’s the world before borders and lines, yet real nonetheless. The musicians converge, rotate around a central point, then diverge and go back their own way. The music is as accessible as it is adventurous, cerebral and emotional, programmed and spontaneous, it’s jazz and classical, recognizable and never heard, grave and light-footed, but with an aesthetic beauty and sensitivity that can only be admired. So is the musicianship: listen to the quality of the sounds, the ideas, the interaction but also the restraint they show. So is the artistry in the variations of the compositions, from the deeply sad “Bianca” to the fun “Jump-U-Funk” over the eery “Exmod 1”, yet strangely enough not straying from the overall vision: it all fits nicely. Exceptional!